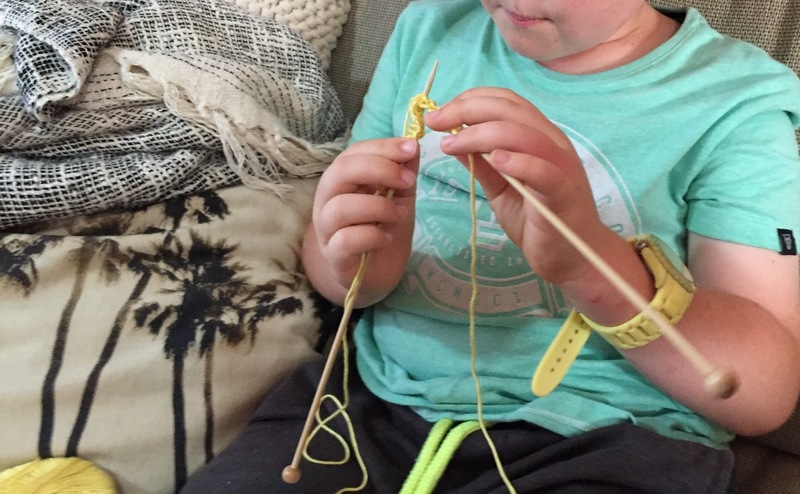 I was a bit nervous when my 8yo asked, yet again, for me to teach him how to knit. As we all know, I'm not a very good knitter myself. I wasn't sure if I should set him up with a full blown project - the reasoning being that producing something worthwhile and useful might be more inspiring somehow. Or if I should just break it down, start simple with the knit stitch, see where we go from there. So I googled. I found a cute pattern with super chunky yarn that made a great kids scarf, I could so see my eldest being pretty chuffed wearing that and telling people he'd made it himself. When I looked into how I was going to teach my son to knit, I came across this video, and thought maybe chunky isn't the way to go straight away. 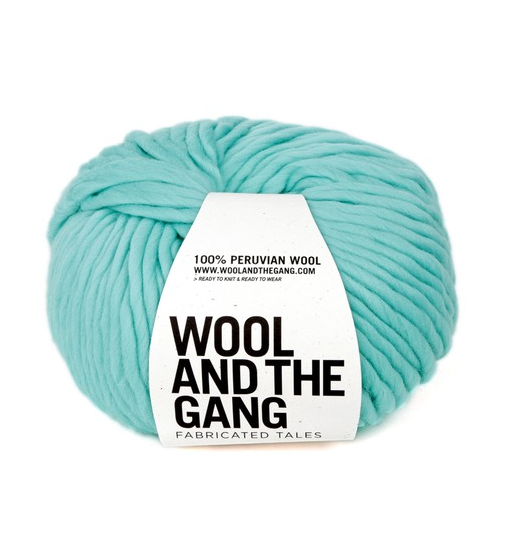 Maybe it's me who wants to knit with that beautiful chunky WATG yarn?! This article sealed the deal. It really helped me get the right frame of mind to teach my son. I would break it down and keep it simple, using what we had to hand. I had some 8ply bamboo in a pale yellow, and a pair of short bamboo knitting needles, I think they are 3.5mm. I also cast on for him - using this technique (in case he wanted to do it himself) - so he could jump straight to the slightly easier task of just knitting. My 8yo likes to be good at things pretty much straight away. I'm not saying that this should be pandered to, resilience is a good thing, but we are talking a hobby here and I wanted us to enjoy the process as much as we could. I've noticed that he has trouble with the tail, often grabbing that instead of the main line of yarn. I had to admit I was surprised at how well he took to it, and how keen he still was after a couple of rows. After insisting on knitting in the car something weird happened and he had to start again, but his enthusiasm wasn't dampened, which is great because if there's one thing I've learnt it's you need perseverance in knitting! Good work. I'm looking forward to seeing this project progress. I chose the one yarn I had multiple balls of, so if he wants to keep going and make a scarf he can. He likes the yellow so hopefully he'll keep going! No good. Very bad week. We met ten years ago, and forged a friendship mostly based on craft, coffee and cake. When one of us had the audacity to up and move 5 hours away, this blog was born. It is our friday mornings, our knitting and crochet, crafty endeavours, our baked treats, the things we need to tell each other over a cup of coffee. Hope you enjoy.